AGB Investigative Earns Accolades for Business Growth - 95th St. Business Assn. Congratulations to AGB Investigative Services, Inc., for being honored recently by two major business organizations. AGB was recently ranked the 23rd fastest growing company in the city of Chicago by Crain’s Chicago Business. Also this Spring, the global accounting firm Ernst & Young, or EY, named AGB Investigative Services founder and CEO John H. Griffin Jr. a Midwest finalist for its 2018 EY Entrepreneur of the Year. The Crain’s Fast 50 award singles out businesses in Chicago with rapid revenue growth. EY’s Entrepreneur of the Year program recognizes entrepreneurs excelling in areas such as innovation, financial performance, and personal commitment to their businesses and communities. AGB CEO and founder John Griffin Jr. said the recognition was the result of two factors: his team’s dedication to making communities and organizations safer places to work and live; and his company’s commitment to philanthropy. Griffin himself is a security expert with more than 16 years of experience at the local and national levels. His professional background includes computer forensics experience with the U.S. Secret Service, as well as training with the U.S. Department of Defense and U.S. Department of Homeland Security. He has operated AGB Investigative Services since 2001. 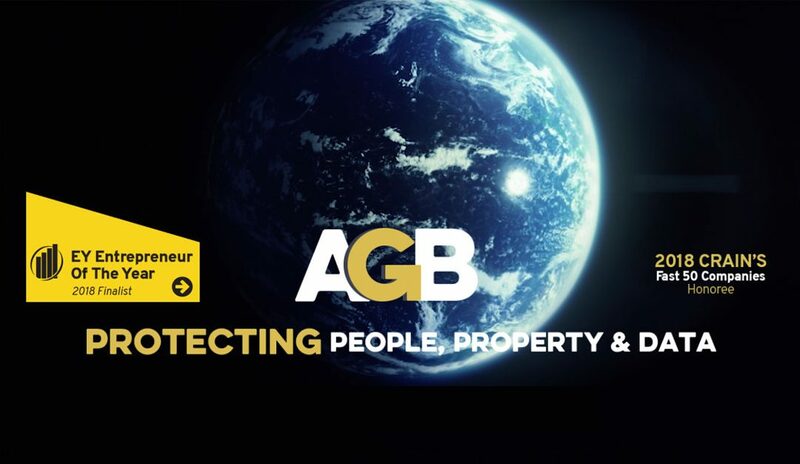 AGB is the only full-service security company in the Midwest that combines cutting-edge technology with on-site and remote security services to gather information and eliminate threats. The company is committed to workforce development, in particular providing professional opportunities to young men and women in underserved areas of Chicago. AGB also operates an educational institute and a foundation, which provide scholarships, internships, and training.